I learnt recently that my kids play Doctor Who at school, which is cute, and funny considering neither of them have watched the show (which will be a topic for a future post). It did get me thinking about the games I played as a kid, particularly those based on favourite television shows. As I recall our games of G Force mostly consisted of everyone arguing over who would get to be Mark or Jason. I assume this was provoked primarily because we perceived these characters as being the “coolest”, not because the alternative was to be the little guy, fat guy or girl. Actually, it is interesting that I remember the names Mark, Jason and Princess, as wikipedia (source of all quality information) is telling me these are the names used in Battle of the Planets, not G Force. Maybe Australia got some messed up amalgamation of the two. A couple of years ago I picked up a DVD of Battle of the Planets, and while it was obviously dated it was still charming. I get a real kick out of thinking my kids are doing the same thing I did as a child. I love the fact that the cubby house in the playground is their TARDIS. I just wonder who gets to be the Doctor. 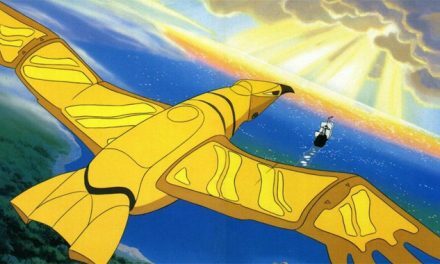 *On preparing to write this article I discovered that G Force was another interpretation of Science Ninja Team Gatchaman, seperate and distinct from Battle of the Planets. But I will continue to imagine them one in the same. **Yes, I know the “team” of young defenders was called “G Force” and the show title was obviously based on this. But that is not the point I am making. 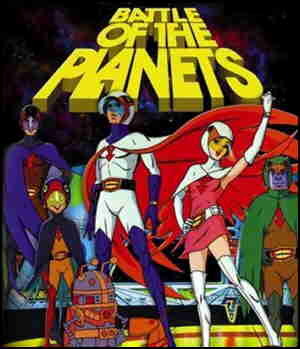 So G Force and Battle of the Planets was two different shows? I never knew that. I was the robot, 7 zark 7 is still such an awesome name! Yeah, I never realised until I was writing this article. Although I had Battle of the Planets episodes on DVD I just thought the differences between what I remembered and saw were due to my wonky brain! 7-Zark-7, apparently, was only ever in Battle of the Planets. However, I suspect that in Australia we may have seen both versions or a mix of both. G-Force was definitely one of my favourite shows. Please don’t leave Tiny and Keyop nameless. The other characters were so “perfect” and “plastic”,even with Mark’s pride and Jason’s anger management problems.Keyop was supposedly a manufactured being which fascinated me. And Tiny, well, his ability to inhale burgers while teasing Princess about Mark bought me much joy. My son is Star Wars obsessed but curiously he wants to be the Imperial Spy from the Mos Eisley cantina. What does that say about his psyche? I was teasing by leaving out Tiny and Keyop’s names! I suppose I am lucky no-one has had a go at me for referring to Tiny as “the Fat Guy”! 🙂 Our kids love Star Wars. When I asked Matilda “What’s your favourite character?” she replied “From the original movies, the other ones, or the TV episodes?” Ha!